The Design Society is a non-profit organisation in Singapore dedicated to the goals of raising the general standard of design in Singapore and growing its reach internationally. 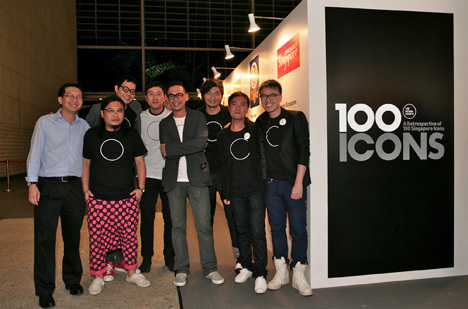 Focusing on Applied Graphic Design, the society was founded in 2009 by established names in Singapore’s design scene including Chris Lee of Asylum, Jackson Tan of Black Design/:phunk and Hanson Ho of H55, just to name a few. 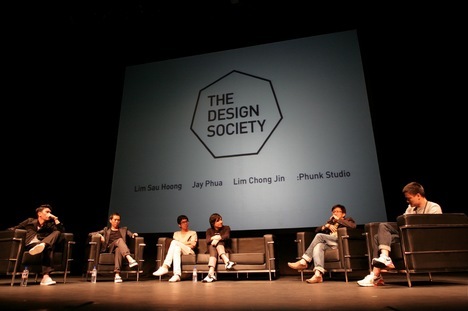 Fresh from their inaugural event, The Design Society Conference which was held in end January 2010, SHIFT contributor, Adib Jalal speaks to Chris Lee to find out more about the society’s role and key challenges. How does Design Society fit in within the realm of other art and creative societies and organisations in Singapore such as FARM, DAS, etc ? From the very beginning we were very clear about what we want to do. For example, Designer’s Association Singapore (DAS) represented all the various parts of the design industry but we wanted to be more specific and decided to focus on everything under the realm of Visual Communications. For us, our angle is about the archival of anything related to Visual Communications and also educational and archival. We are definitely not trade related and hence are not interested in things such as coming up with a listing of design studios. Other organisations such as DAS can focus on that but for us, we see our role as one to inspire and educate. Is Design Society modelled over other similar organisations? I’ve personally never been a part of any societies or associations but having said that, we are quite inspired by what D&AD has done. While they do mostly awards, they are increasingly doing education work. 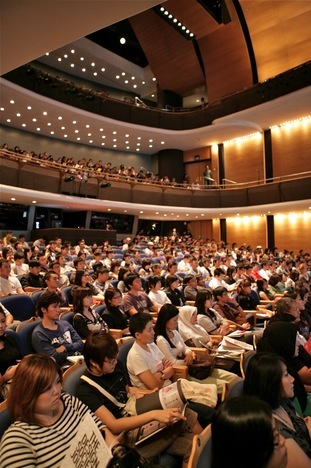 And similar to The Design Society, it was started by a group of friends, and many years later, they have built a strong foundation which have allowed them to do more education outreach such as forums and lectures. So, while we don’t model ourselves like others, we definitely look up to the likes of D&AD as an inspiration. However, we will eventually find our own identity and right now, we are still finding our ground! Was there a specific moment or event that sparked off the idea to create Design Society? I was having dinner with Larry (of ‘&Larry‘) where we both spoke about doing something together. I was then discussing with Roy (A Beautiful Design) at some point that we should have a Design Museum in Singapore. In addition to that, I also met a few other friends who shared similar ideals and through various conversations with different people, it just seemed to slowly come together. From there, we then met up to chat over dinner to discuss how all of it can gel and it naturally evolved into The Design Society. And then we realised how much work there was to it. What other key challenges have there been in starting a new society from scratch? When we first started, we got the general feel that some people were going “Oh, it’s the same bunch of designers again. What do they want this time?”. But I think people will realise that this is for the larger community and it’s not about us, the founding designers. We don’t want to talk or preach but rather all we want to do is organise and facilitate the growth of a larger community. And also during our first conference, some people were rather critical but it’s ok because it shows that they are very passionate about design. We are still finding our feet and these feedback will be good for us.